Peacefully at the Palisade Gardens in Cobourg on Sunday, April 14, 2019, Vera Lonergan (nee Beaumont) at 101 years of age. 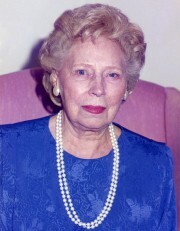 Beloved wife of the late Joseph William Lonergan. Dear mother of Robert Lonergan (Sharon), Glenn Lonergan (Kelly), and Lynn Nizio (Marty Tomlinson). Cherished grandmother of Lyndsay (Darrin), Joanne (Ronnie), Gary, Erin (Eric), Sarah, Natalie (Mike), Andrew, Richard, and great grandmother of Mackenzie, Cody, Tanner, Joey, Reid, Amelia, Grady, Arlee. Predeceased by her siblings Brock, Bob, and Emma. Cremation with a Celebration of Life Gathering to be held in the MacCoubrey Funeral Home Reception Centre, 30 King Street East, Cobourg, on Saturday, April 20, from 1 to 3 pm. Interment of cremated remains at Georgetown Cemetery at a later date. Those wishing may make a memorial donation to the Canadian Cancer Society. Condolences received at www.MacCoubrey.com.